Today, Facebook said it is testing a new version of mobile app for cell phone users with poor internet network strength in emerging markets like South Africa, Nigeria and others. The move expands Facebook’s efforts to grow the world’s biggest social network, which already has more than a billion users. 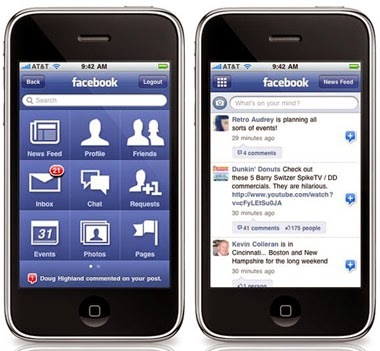 Most of Facebook’s growth is coming from emerging markets, but many people lack the phones or computers needed for the full-featured app. The “lite” version can allow users with low-cost Android handsets to quickly load Facebook feeds and photos. According to TechCrunch, the app was launched in South Africa, Nepal, Bangladesh, Nigeria, Sri Lanka, sudan, Vietname and Zimbabwe over the weekend. Facebook has also launched a project tagged Internet.org to help bring strong signals to areas with poor internet connections. I think Nigeria should be removed from that list because many internet users are currently on a 4G internet connection… Naija no dey for this level again joor.